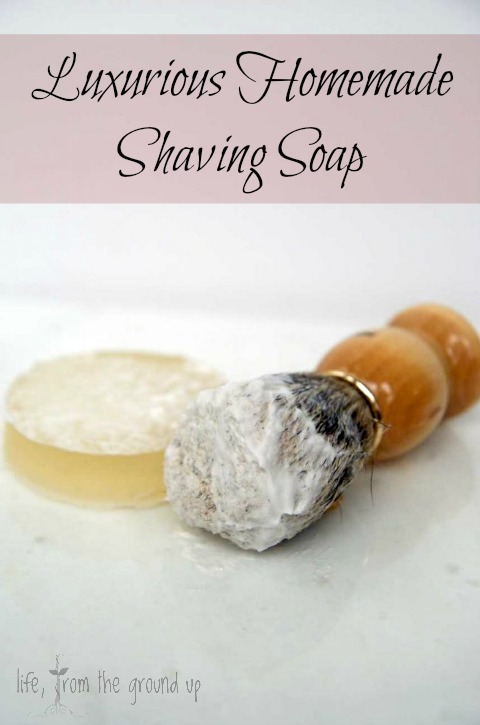 Homemade Shaving Soap Recipe - Easy to Make! Shaving has always been something of a necessary evil for me. I like the smooth feeling, but it doesn’t last long and soon you’re right back where you started. I will frequently go days without shaving. This lasts until I feel that my hobo-like appearance is negatively impacting my coworkers’ opinions of me, or my wife won’t let me kiss her anymore. I’ve always used whatever generic can of shaving cream I could find at the drugstore, but I recently decided it was time to go a bit more old-fashioned. Because almost every other personal care product I use regularly is now homemade, this was one of the last holdouts. So I bought myself a shaving brush and whipped up a homemade shaving soap using this shaving soap recipe. 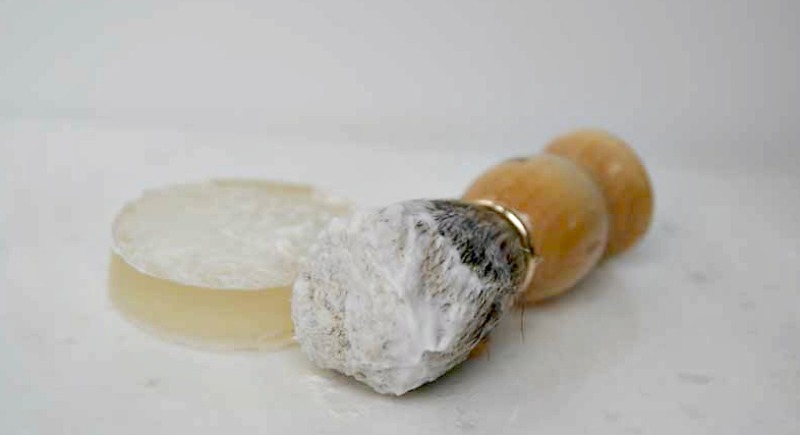 The benefits of making a homemade shaving soap are numerous. First of all, it’s cheaper. The cost of the ingredients used to make a bar of this is under a buck, while the average can of shaving cream hovers somewhere around $4-5. Second, and the main driver in my “everything homemade” quest, is that the products I make at home are inherently less toxic than what’s offered at the drugstore. 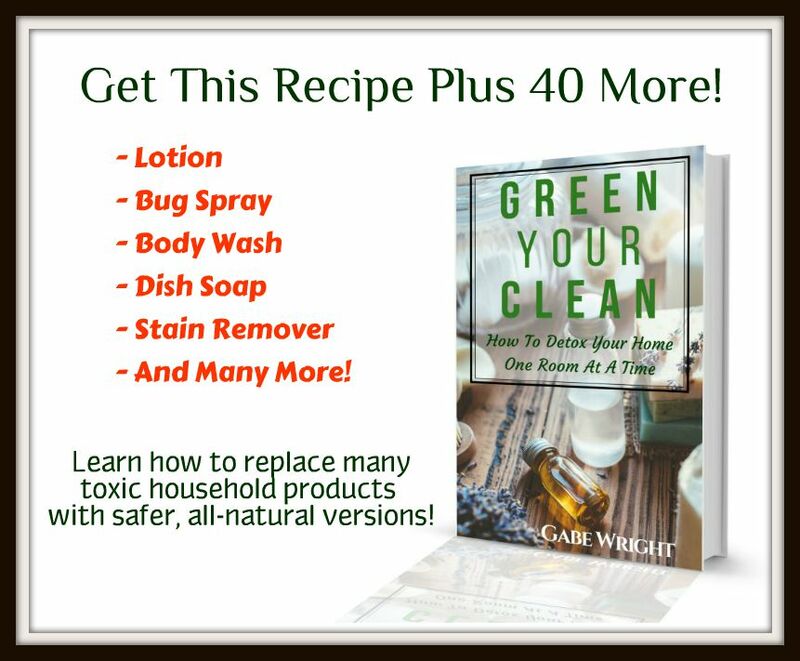 Instead of things like pthalates, sulfates, and triethanolamine, this is essentially a natural soap base (plant-derived oils, vegetable glycerin, and lye) and some essential oils. And finally, it’s just fun. The experience of wetting the brush and working the soap into a lather is kinda cathartic and feels more luxurious than spraying something out of a can. It almost makes shaving enjoyable. Note that this is a hot process (melt and pour) shaving soap recipe, not cold process (using lye and fat). I’m not quite to the point that I want to make my own soap from scratch, but we’ll get there. You also can’t use just any soap for shaving. (I mean, you can, but some will lead to a more pleasant experience than others.) A good shaving soap has a high fat (usually oil, but some people swear by tallow) and glycerin content. This allows for a close, smooth shave and leaves your face well-moisturized. If you don’t believe there’s a difference, shave with this first and then try a bar of Irish Spring. So with that in mind, this is the shaving soap base that I use. Melt the soap in a small saucepan. It’s probably worthwhile to get a cheap one to devote to soap, otherwise your soup might taste of lavender and rose. I also add in a little kaolin or bentonite clay, which helps give a little extra “slip” to the lather. Let it cool slightly, add a few drops of your favorite essential oil (not necessary, but smells nice!) and mix. The recipe below is my take on a traditional bay rum scent. Pour the soap into a mold and let it harden for at least a couple hours (common household items include a mug or a Pringles can, but you can certainly use an actual silicone soap mold). To use, soak your brush in hot water for at least a minute. Without shaking out too much water, swirl it around on the surface of the soap. You’ll get bubbles immediately, but keep swirling until the bubbles get progressively smaller, and the lather gets firmer. If you’ve ever made a meringue, it’s sort of like that (keep beating until you get stiff peaks). It will probably take a time or two to get comfortable with the process, but it’s not difficult. And get a decent badger hair brush, not synthetic. Work the lather into your face, let it sit for a minute, and shave away. Shaving is still not my favorite activity, but I will say that I almost look forward to it now that I have a nice homemade shaving soap. This will make one 4 oz. bar of soap - adjust accordingly! Over medium heat in a small saucepan, melt the soap. When smooth, add the clay and mix well. Remove from heat and let cool slightly. Add the essential oils and mix again. Pour into a mold (a mug or Pringles can will work fine) and let cool for at least a few hours. Enjoy your luxurious shaving experience. Thank you so much for sharing your recipe. 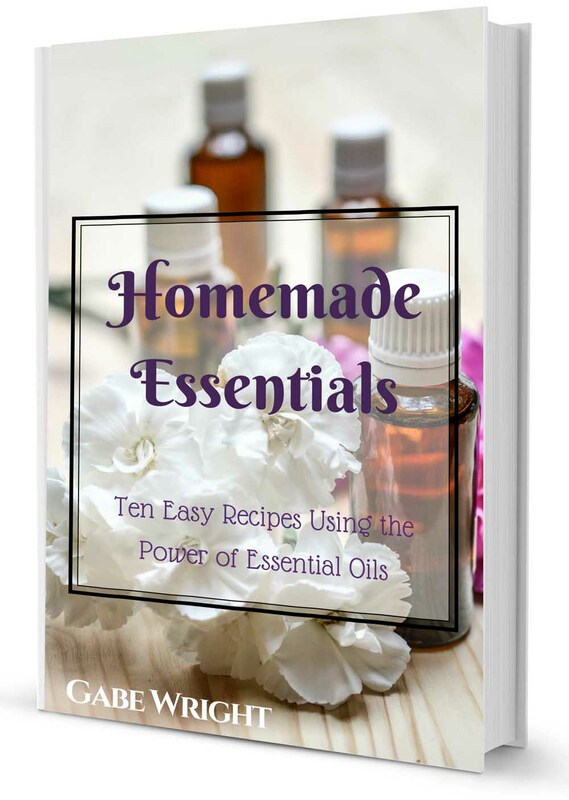 I am wondering if in place of the essential oils I am able to use a fragrance oil instead? Also do you happen to have a beard balm recipe to share? Thanks again.